We are Coming Back to NASHVILLE!!! 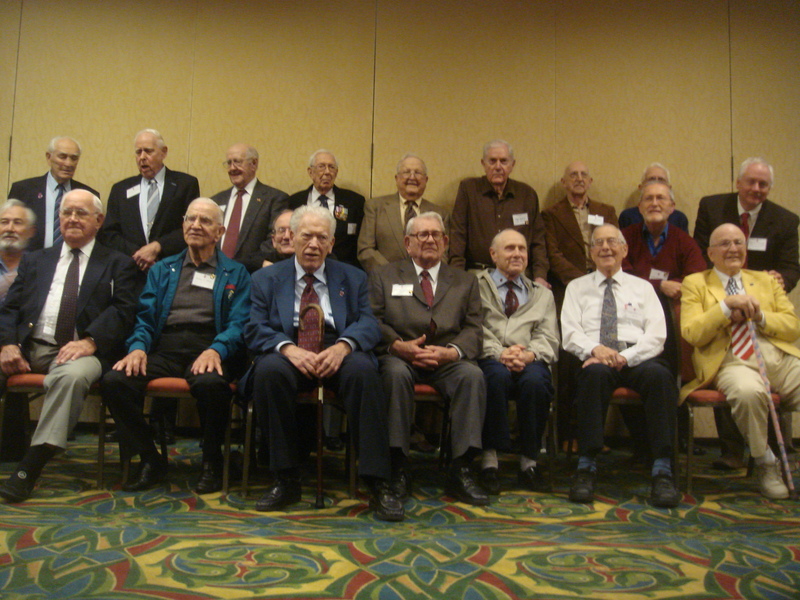 For the next Annual Reunion of our 30th Infantry Division Veterans, we will be migrating back to Nashville, Tennessee, at the same location that we held our Reunion this past year. We liked the facilities so well, that we decided to ‘do it again’.!! The Holiday Inn Airport-Opryland was a very convenient location for everyone, whether driving or coming in by air. Interstate and local Expressways give easy access to the Hotel, and most all of the major US airlines serve Nashville without having to change enroute in most all cases. More specific directions will be in the next issue of our news, for those of you who will be driving. Those flying in to Nashville, will have a Shuttle bus available to bring you from the airport to the hotel, at No Cost. It is Free ! This will be a great Reunion, where many our comrades will be meeting and reminiscing, many of whom will have not met with their comrades for many years, and a few for the very first time. We always welcome newcomers and want them to be a part of our Old Hickory Family. We extend a cordial welcome also to our many Widows and family members of our Veterans. We also hope to welcome again, many of the Holocaust Survivors that we liberated in April, 1945, as we have in the past few years, and extend a special welcome to a few of them who have not had the privilege of meeting with their Liberators before. As in previous years, we will have our faithful “Old Hickory Re-enactors” with their fabulous display of Old Hickory memorabilia and weapons, which will bring back a lot of memories. These guys will be available to explain the meanings and use of equipment, and may put on some demonstrations for us. They do a fabulous job of representing the original Old Hickory unit of WWII. Additionally, they provide us with a Color Guard and a bugler at all of our functions, as required. And last but not least, they have been most cooperative and helpful in operating our Hospitality Room, while we sit around and visit. They also provide us with some Great Music of the 40’s in the Hospitality Room during our stay. Real nostalgic Music, that you can just sit and listen to forever ! We encourage each and every one of you to consider coming to this Reunion, as we never know when it may be the last one. Our time is running out, and all good things must come to an end at some point, then there will be no more opportunities to see and visit with your old buddies. Start making your plans Now !!! Do not delay any longer. Make your reservations, send in your Registrations, and plan to be there. You will get a Full Refund of the Registration if you do need to cancel, if cancelled within 10 days of the beginning of the Reunion – 22 March, 2011. For those of you who have computer facilities, we wish to keep you up to date on new Website articles. For those of you who do not have computer facilities, perhaps you have a family member or a friend, who can bring the Website up and print out such articles that may be of interest. One of our latest additions is a new category, “Holocaust”, which is a compilation of much research on the Train that we liberated in Farsleben, Germany on 13 April 1945. It shows a map and the route of this train from Bergen-Belsen to Farsleben. Particularly for the families of veterans who pass on to a better place, we wish to notify you that Veterans are eligible for an inscribed headstone or marker for their grave at Any cemetery – National, State Veterans or Private. VA will deliver a headstone or marker, at NO cost, anywhere in the world. Additionally, eligible veterans may get a “Government headstone or marker, even if the grave is already marked with a private one.” This is a new provision. Similarly, headstones and markers previously provided by the government, may be replaced at the Government’s expense, if badly deteriorated, illegible, vandalized or stolen”. For more information, for those of you who have computers or can get one of your children or friends to go on the Internet for you, you can go to: www.VA.Gov and click on Burial & Memorials, then Headstones and Markers, then General Information. As a rule, the local funeral director is familiar with this procedure, and will handle all of the details involved in obtaining the Headstone or Marker. In the event that he will not, or cannot, contact your local “Veterans Service Officer”, usually located in your County seat, and this will be done at no cost to you. Arrangements will also be made for a full Color Guard and a Bugler, for every veteran, no matter where buried. As perhaps some of you are aware, at the Reunion last year in Nashville, we conducted an Auction, instead of the former “Raffle”. This saved us a lot of expense and the time of selling tickets, and besides, we had a lot more fun with the enthusiastic and friendly bidding. So, as it was agreed upon, we will plan to do it again this next Reunion. So please do not forget to bring some appropriate gift, something that You would like to receive, so that we can have a good session of spirited bidding again, to help replenish our treasury, so that we can continue to maintain our Goals. All such donated gifts will be on display prior to the Auction, so that you can see beforehand, just what you are bidding on, and make up your mind to “get it” !!! Registration Includes: Hospitality; Thurs Nite Reception; Friday Breakfast; Friday Lunch; Friday Dinner; Saturday Breakfast; Saturday Lunch & Banquet. Registration cost will be $135.00 Per Person. This includes All Taxes & Gratuities.